An oasis of peace surrounded by unspoiled nature, ideal for relaxing in an intimate and relaxing atmosphere. 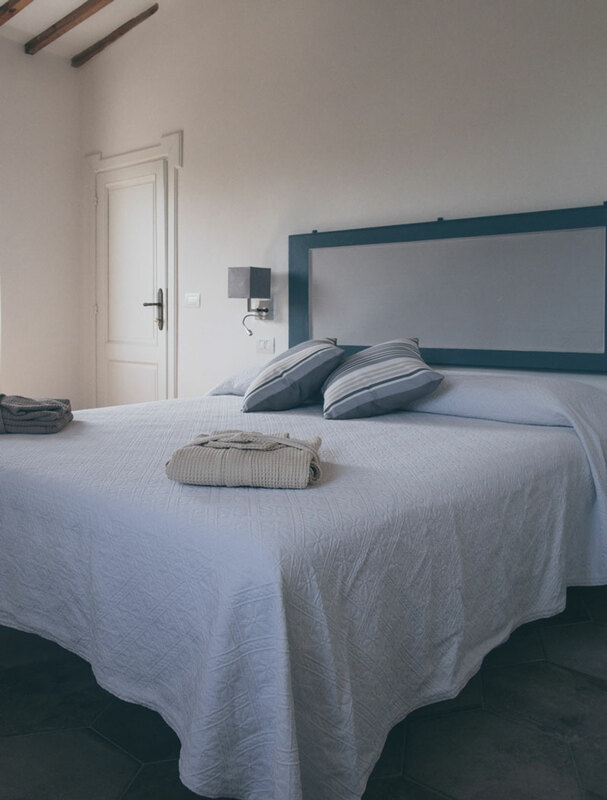 Relais Il Furioso is an authentic bed and breakfast, and we are happy to share with our guests the beauty of our home, an old stone farmhouse surrounded by a park of over 5,000 square meters whose tall trees provide cooling shade during the summer. 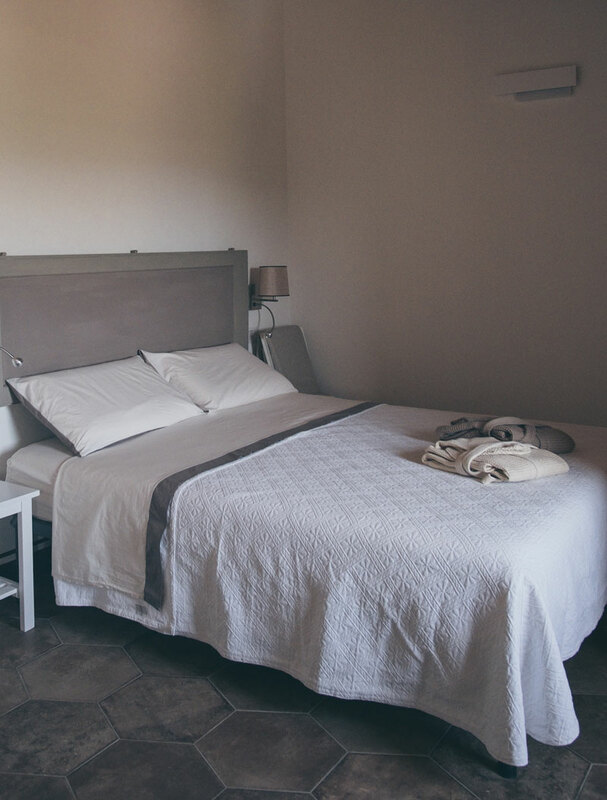 Our spacious and comfortable rooms offer breathtaking views over the Umbrian countryside. Warm earth tones for this impressive suite. 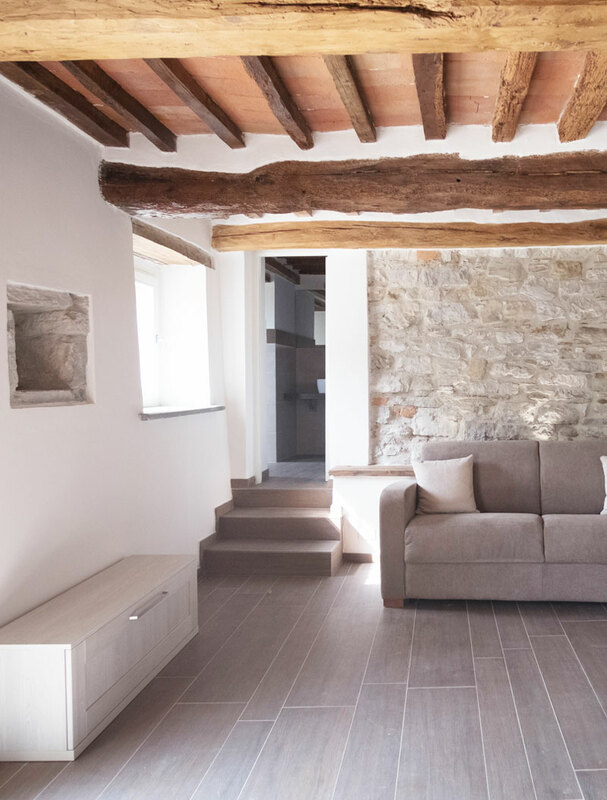 A luminous, youthful suite overlooking Todi. 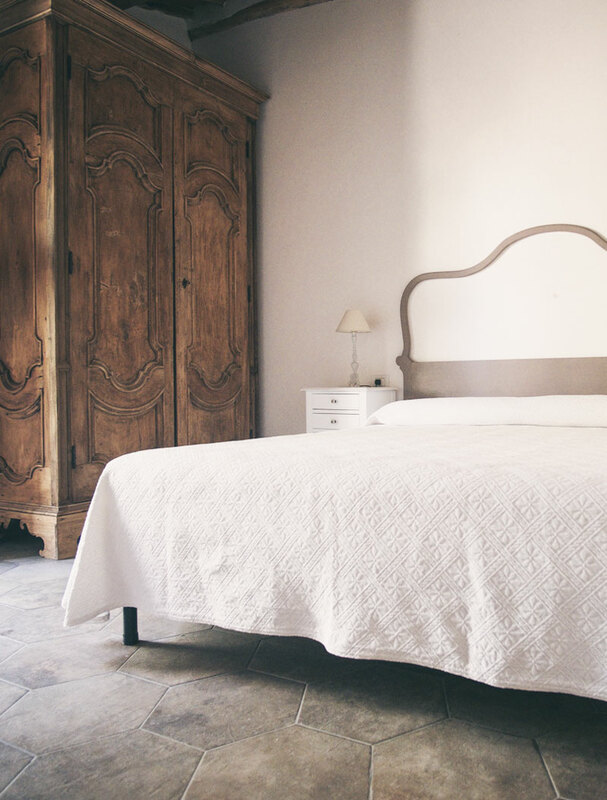 Its grand antique wardrobe gives this suite its elegant, romantic atmosphere. Living room with kitchenette, bedroom and bathroom. In the relaxation area you can choose to cool off in the large swimming pool, relax in the jacuzzi, sunbathe, read a book from our well-stocked library or sip a herbal tea. We decided to create a relaxing oasis - surrounded by peaceful, unspoiled nature but providing the chance of stimulating activities for those seeking more energetic ways of having fun. We are proud to promote environmentally-friendly tourism: a breakfast prepared with organic, seasonal and km 0 products, toiletries are made with natural, organic ingredients, eco-friendly cleaning products with low environmental impact are just some examples of our commitment to respecting nature and defending the environment. surrounded by tall trees to keep you cool on hot summer days. open to guests throughout the summer. hot and cold water jets of adjustable intensity, evocative lighting effects and colours in a welcoming, relaxing shower. read a good book while you sample one of our delicious teas. in our bright, welcoming dining room you can choose your breakfast from a large, varied buffet prepared with delicious fresh local produce. during winter, breakfast can be served directly in your room upon prior booking. On Tuesday and Saturday for dinner the breakfast room turns into a Osteria offering a menu with seasonal, local and organic products. On other days it is possible to have both lunch and dinner on request. our small laundry room, equipped with a washing machine and a dryer. Ask about availability and treat yourself to an unforgettable holiday!